SHARK TALE After a mass extinction event about 66 million years ago, a group of sharks called carcharhiniformes, which includes the lemon shark (shown), became more abundant. The extinction event that wiped out all nonbird dinosaurs about 66 million years ago also shook up shark evolution. Fossilized shark teeth show that the extinction marked a shift in the relative fates of two groups of sharks. Apex predators called lamniformes, which include modern great white sharks, dominated the oceans before the event, which took place at the end of the Cretaceous Period. But afterward, midlevel predator sharks called carcharhiniformes came to dominate the waters - as they still do today, researchers report August 2 in Current Biology. Paleontologist Mohamad Bazzi of Uppsala University in Sweden and colleagues examined the shapes of nearly 600 shark teeth dating from 72 million to 56 million years ago. Unlike their cartilaginous skeletons, sharks' teeth, which the fish shed throughout their lives, are well preserved in the fossil record, Bazzi says. By looking at patterns in tooth shape variation - the height of the crown or the breadth of the tooth - scientists can measure trends in shark diversity. After the extinction event, lamniform sharks that had a particular tooth shape - low-crowned and triangular - appeared to decline, while carcharhiniform sharks with the same low-crowned tooth shape proliferated. The extinction "is one of the more transformative events in shark evolution," Bazzi says. Today, there are only 15 known species of lamniformes, but hundreds of carcharhiniformes, including hammerheads and lemon sharks. It's difficult to know how the event caused the shift, but one possibility is that the extinction affected the sharks' preferred food sources. 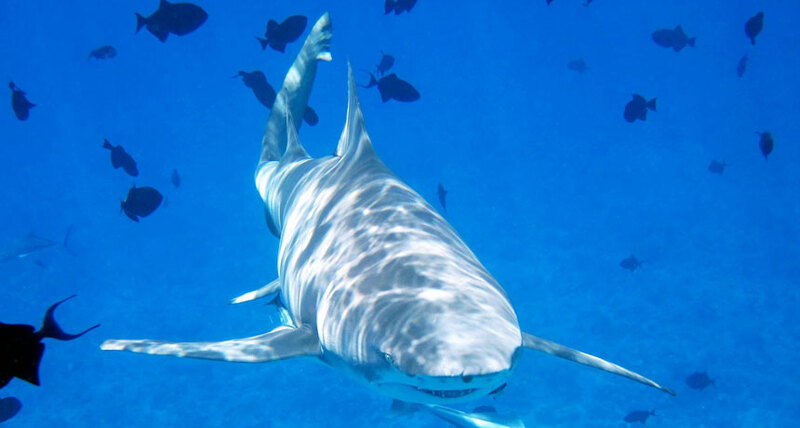 Modern great whites, for example, eat everything from cephalopods to seals; ancient lamniformes may have had a similarly varied diet and experienced a loss of primary food sources such as marine reptiles following the extinction. But the rapid increase in small bony fish after the event may have given a boost to the smaller carchariniform predators, such as houndsharks.